A Tamil wedding is beautifully intermingled with traditional rituals and customs. All the rituals and customs are incorporated with religious significance. At the special occasion, the bride and the groom chant sacred mantras under the guidance of a priest. During this time, they vow to live together for the whole life. The auspicious event provides excellent opportunity to the couple and their relatives and friends to take pleasure of such celebration and enjoyment. Like all the marriage traditions in India, Tamil wedding traditions are also belong to pre-wedding, main wedding day and post-wedding rituals. The pre-wedding rituals start from muhurtham followed by receiving the groom, vratham & pallikai thellichal, nalangu, nicchiyadharatham and reading of lagna pathirigai. The wedding day customs referred to as mangala snaanam & kashi yatra, exchange of garlands & oonjal, kanyadaanam & muhurtham and saptapadi. After practicing all these wedding day rituals, the bride and groom start preparing for post-wedding customs. The couple and the groom's family celebrate the arrival of bride with rituals like sammandhi mariyathai, laaja homam & paaladaanam custom, grihapravesham and reception. Attending a Tamil wedding is an experience in itself. No one would forget its exoticness and charmness generated from the ceremonies and celebrations of the auspicious occasion. 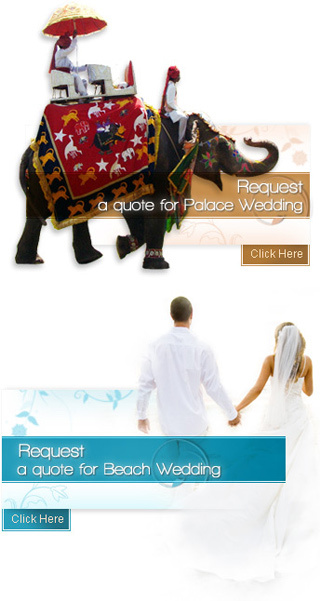 This section will provide you the features of Telugu wedding ceremonies before, during and after the D-Day.